When it comes to finding an ideal vehicle with a large amount of power, I think it’s pretty fair to say that there’s one vehicle line that we always trust to deliver just that. 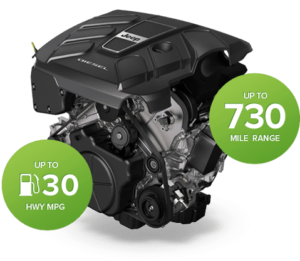 Dodge has been notoriously known to offer some of the most powerful vehicles at affordable rates and their new Ecodeisel engine, voted one of the top engines by Ward’s Top Ten Best Engine for 2014, furthermore reinforces that fact. The new Dodge Ram 1500 took the pick up truck community by storm. It was specifically designed to cater to enthusiasts that want a lot of power but decent fuel economy. 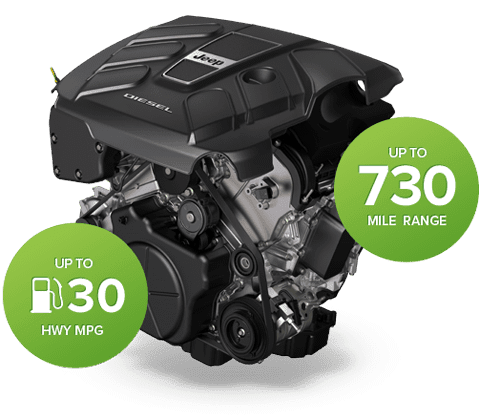 It’s new 3.0 V-6 Ecodeisel engine enabled the Grand Jeep Cherokee, the most highly rated and awarded SUV in history, to give some of the best fuel economy for vehicles within it’s class at 32 mpg. It’s the first and only clean diesel engine for Dodge’s lines of light pick up trucks, yet it does not compensate performance for fuel economy, as the engine supplies more than enough to traverse easily on rugged paths and up and over hills. The Chrysler Group has held a position within ‘Wards Top 10 Best Engines’ for a consecutive amount of years and has retained their position this year with the release of this eco-friendly behemoth of an engine. Drew Winter, Editor In Chief of Wards Auto World Magazine proclaimed that is was, “As quiet, powerful and as smooth as the engines we’ve tested in luxury vehicles.” Indicating the silent storm that lies within the V-6 Ecodeisel engine. He furthermore noted that in comparison to other Engines within it’s category, it provides an “unbeatable combination of power and efficiency.” Just to give an idea of how powerful the new engine is, when compared to the previous versions of V6 engines, it was found that the new 3.0 V-6 Ecodiesel engine gave 42% more horsepower and 13% more torque than it’s previous version. Not only does it give give the best in it’s class fuel economy at 32 mpg, able to run for 730 miles on one full tank, provides all the torque you need to lug another Dodge 1500, it’s also environmentally friendly. Because of the clean-diesel technology within the engine, it releases low CO2 emissions, yet is able to actually provide top performance, proving that going green doesn’t mean you have to compensate. These among many other factors are why the new Doge Ram’s EcoDiesel Engine, has been featured in a wide variety of lists for the best engines of 2014.